Race timing app - Testers needed! Question on 2018 schedule - Sept 8 - 9th weekend. 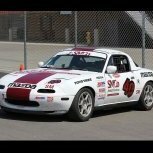 HPDE 1 - no two-day?